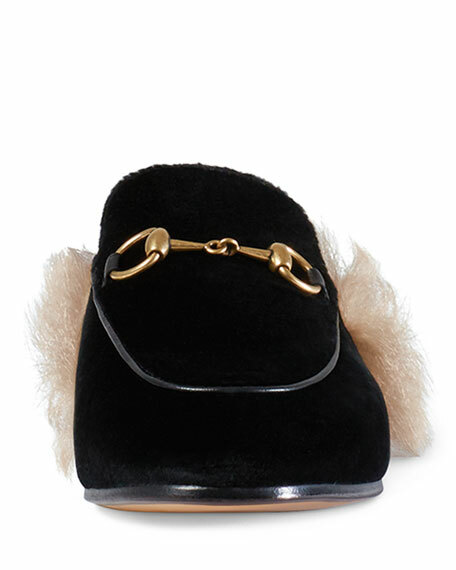 Gucci velvet mule with leather trim. 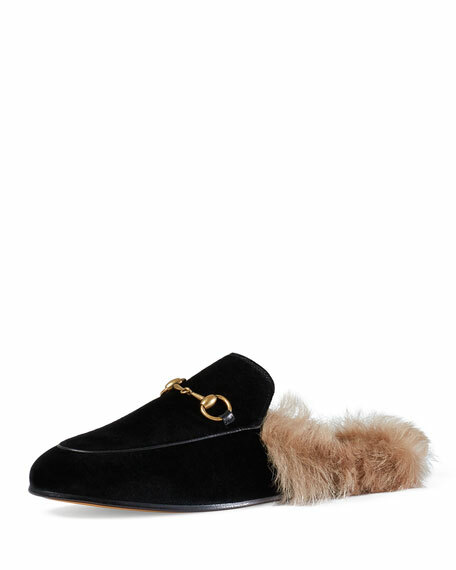 Dyed lamb shearling (Italy) fur lining and insole. This item may not be sold or shipped to New York. For in-store inquiries, use sku #1846564.